The Bachelor Australia’s Sam Wood and fiance Snezana Markoski, along with Snez’s daughter Eve, have welcomed a brand new baby to the family! Sam and Snez’s baby is here!!! 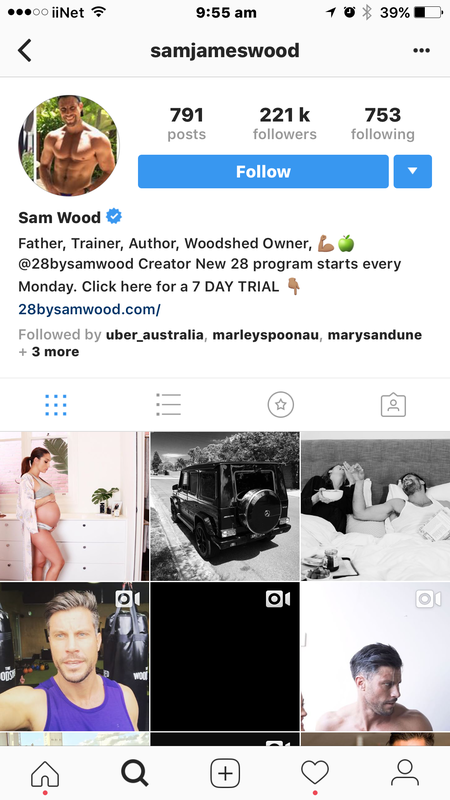 Sam just shared the exciting news in his private 28 by Sam Wood Member Facebook group this morning, along with a video of the couple’s brand new baby girl. The cute pair have named their new arrival Willow Wendy Wood – and Sam says he’s practically a puddle on the floor! “I have fallen in love with the most perfect little girl and fallen further in love with the most incredible Mum,” he wrote. Sam’s also JUST adorably updated his Instagram bio from the previous “family man” to “father” and it’s making us cry a little bit..! Engaged since 2015, the cute and very loved-up couple announced the pregnancy via Instagram on Mother’s Day, back in May and have tracked their bumps progress rather closely ever since. “Snez …. a) has just eaten a bowl of pasta bigger than her head : b) can’t do up her pants : c) is having a BABY!!! d) all of the above #theanswerisd #happymothersday #soexcited” Sam captioned his pregnancy announcement (below). “We’re so excited to be able to let the world know that our little family of 3 is soon to become 4 : @samjameswood you are going to make an incredible father : Thank you to @vicky_papas_vergara for capturing this beautiful moment. #HappyMothersDay,” Snez returned (also below). The couple are one of the few successful couples to come out of the Australian franchise. They’d been planning their wedding earlier in the year, but got waylaid by this much-wanted, but surprise little girl instead. She did indeed, with just a little bit of help from Sam, and now they are four! No doubt we’ll be seeing much more from this energetic and attractive gang in the coming weeks, as they get used to life as a family of four. They might even get back to wedding planning again in the New Year, too? Congratulations to Snez, Sam and Eve!